Looking to get out of the house and fine tune your artistic skills? Join us for a winter workshop at our Falls location to learn techniques from one of our talented artists. 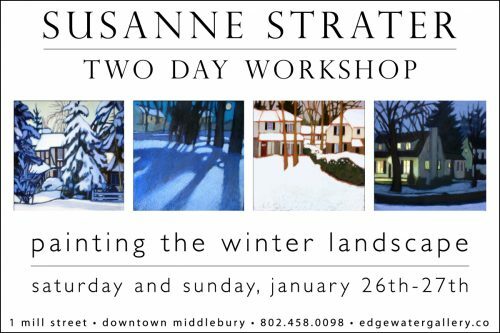 Pastel artist Susanne Strater will conduct a two day afternoon workshop from 1-5pm, Saturday January 26th and Sunday the 27th. This workshop is perfect for the beginner and advanced pastel artist alike! 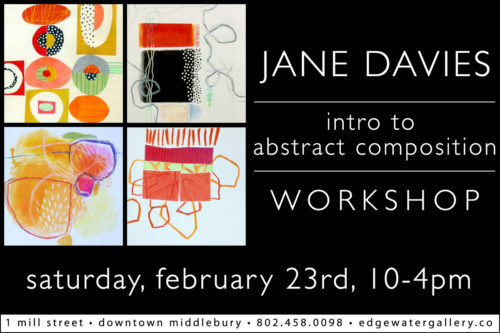 Get reacquainted with your creative side with master abstract expressionist Jane Davies during her full day painting and collage workshop on Saturday February 23rd. 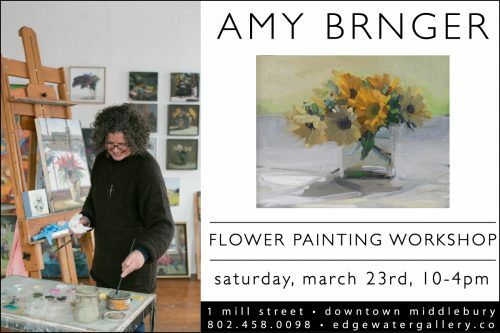 Amy Brnger will let us in on the secrets of oil painting during a full day workshop on Saturday March 23rd. To keep the inspiration and energy flowing Edgewater will provide lunch and snacks for all winter workshops! During the month of their workshop each artist’s work will be featured in our alcove area at Edgewater Gallery at the Falls. Transform your favorite landscape photograph into a pastel painting. Intended for beginners. Explore elements and fundamental concepts of composition through collage, crayons, markers, and other accessible media. Spend a winter’s day painting flowers while you learn to make quick decisions, utilize broad brush strokes, and use color unabashedly.